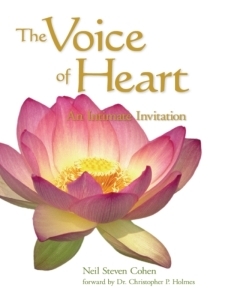 As you begin reading The Voice of Heart, you will find yourself on an undeniably compelling journey; a deep and direct experience into the spacious, unified awareness of the Feeling Heart. On this journey, the Inner Voice of the Heart will be your wise, loving and most nurturing guide. The mysteries of cognitive and emotional misperceptions that have caused confusion and suffering in humanity for ages will be clarified and revealed to you. Through the feeling-oriented language of the heart you will be offered priceless gems of insight, completely relevant for transforming these ancient and limiting misperceptions and for the awakening of the heart, mind and body—which are all the totality of the Heart. The Voice of Heart clearly reveals the way into a new paradigm, offering an evolutionary invitation and call…to those who are listening. —Charles Ridley, Craniosacral teacher and founder of Dynamics Stillness, an international training school for health professionals. Author of Stillness: Biodynamic Cranial Practice and the Evolution of Consciousness.